Rosariumpublishing.com, which was established in 2013, recently launched an IndieGoGo campaign to help cover printing costs for their books, comics, and graphic novels. In today’s interview, Monica Valentinelli sits down with founder Bill Campbell to ask him about his small press publishing house. Thought you might want to see a collection of the photos I took at C2E2. 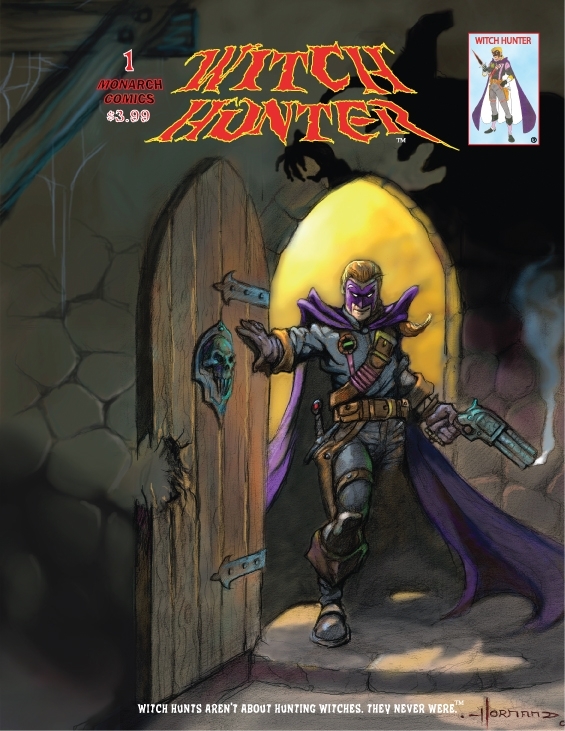 There’s more C2E2 goodness coming when I talk about Skullkickers, what’s new with Tim Seeley, my Magic the Gathering demo and a smattering of new comic titles. Hope you enjoy these! Comic Book Guests Are Announced for C2E2 2011! Paul Cornell (DC’s Action Comics and Batman and Robin), Scott Snyder (Vertigo’s American Vampire) and Doug Mahnke (artist for DC’s bestselling Green Lantern series) are among the early guests from the world of comics to be announced for Chicago Comic and Entertainment Expo (C2E2). They will appear at the new annual pop culture convention as Guests of Honor and will be joined by other comic creators and artists including Tony Moore, Mike Norton, and Jill Thompson. This announcement follows two other recent announcements about leading guests who will be appearing at C2E2. Convention officials note that there will be many more significant guest appearances announced in the coming weeks and months as the show approaches. 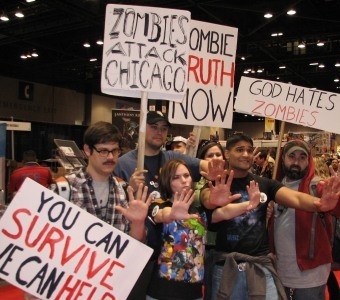 The next C2E2, which had its debut in Chicago last year, will take place March 18 – 20, 2011 at the McCormick Place Convention Center. 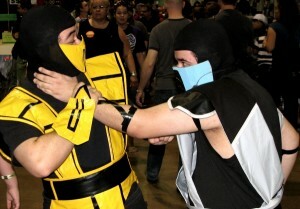 The 2010 New York Comic Con and New York Anime Festival (NYCC/NYAF) took place at the Javits Center over three days. I had a blast at my first NYCC/NYAF! There was a lot to do and a lot of other fans and professionals to meet. I didn’t get to see everything I wanted to, but there was more than enough to keep everyone (myself included) entertained. Like comic conventions? This year for Wizard World, otherwise known as Chicago Comic-Con, I spent the weekend in Artist’s Alley with Leanne Buckley. First off, I should point out that I couldn’t help but compare this convention to C2E2, which was held at the McCormick Place just this past April in Chicago. The difference between the two is pretty distinct, because the venues had a different emphasis from one another. As many fans pointed out to me, there was a noticeable lack of comic book publishers at Wizard World. Most, if not all, of the publishers that were missing had booths at C2E2 this past Spring, so I wasn’t surprised that there was a lack of publishers at this show. I was happy to see that Avatar Press was at Wizard World, and I had a great chat with them. Admittedly, I was a little curious why some of the local Chicago comic book publishers didn’t have a booth at the show. Can violence solve every problem in the world when applied correctly? Is a quick hand and a quicker trigger finger going to save the world when it really counts? And what about the morality of the common action hero…they look cool as they smoke cigars and fire their guns John Wu style, but are their methods the solution or the problem? The Prophet is a crime noir comic from Dangerkatt Creative Studios. Set in Mexico, the main character is an underworld assassin by the name of the Prophet. After a series of disturbing dreams, where a black devil keeps offering him deals that would make him the most powerful man on the planet, he has decided he will quit after one last job. Well, a couple of last jobs, it seems. If he can score the Frontera Shipment, which is the largest shipment of drugs across the border into the US, then he believes he and the team he recruits will be able to retire. Archaia is proud to announce that Archaia’s own Mouse Guard Vol. 2: Winter 1152 by David Petersen has debuted at #4 on The New York Times Hardcover Graphic Books Best Seller List, week ending August 1. Mouse Guard RPG Earns Three ENnie Nominations! 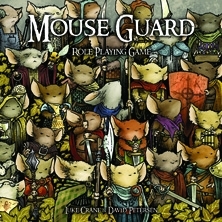 Adding to its growing list of accolades, acclaims and honors, Archaia’s Mouse Guard Roleplaying Game has been recognized by the 2009 Gen Con EN World RPG Awards (“the ENnies”) in three categories. The awards recognize excellence in tabletop roleplaying gaming, and winners are determined by the peoples’ choice, with the final winners voted upon online by gamers across the world. The Mouse Guard Roleplaying Game has been nominated for Best Interior Art, Best Production Values and Product of the Year. It was created by Luke Crane (Burning Wheel) and David Petersen, the creator of the comic series on which the RPG is based. Ace Books, an imprint of Penguin Group (USA), announced today the publication of #1 New York Times bestselling author Patricia Briggs’ Alpha and Omega: Cry Wolf, Volume 1 in graphic novel form. The Dabel Brothers, who previously partnered with Briggs to create comic adaptations of her bestselling Mercy Thompson series, will now adapt her first Alpha and Omega novel, Cry Wolf, into a comic series starting this summer. Ace Books will then publish a graphic novel edition of the first four installments of the Dabel Brothers comic series this fall. The publication of Alpha and Omega: Cry Wolf, Volume 1 marks Ace’s first foray into the graphic novel market. Fantasist Enterprises is having a special sale for a limited time on some select titles. There are some great dark fantasy titles up for grabs, so don’t miss out. Elves aren’t always creatures of the light. Some elves thrive in the darkness, stalking their unwary victims for their own twisted pleasure. Magic surrounds us. It is the stuff of creation. The Enlightenment did not kill it with science. . .